Forget about snakes on a plane. Now it's about a snake on a bus. That's because a slithering serpent was spotted on a VTA bus in Palo Alto back in September, and now the male reptile is available for adoption, according to the Peninsula Humane Society. 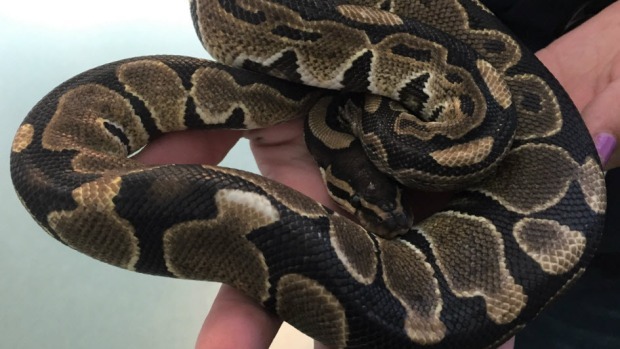 Passengers originally found the young ball python resting on a bus seat, according to PHS. The bus pulled over at a stop in Palo Alto, passengers were shuffled off and an animal control officer safely removed the reptile. "No one is quite certain how the snake ended up on the bus, but we are grateful someone spotted him and he was safely removed from the bus," Buffy Martin Tarbox from PHS said. 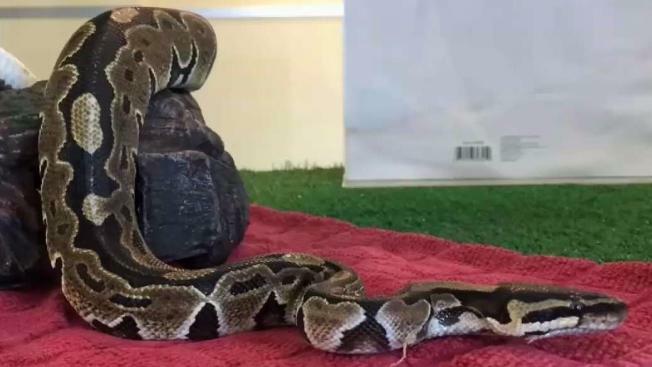 The snake was held at Palo Alto Animal Services for nine days, but no one claimed him, according to PHS. At that point, the snake, who has been named Rumplesnakeskin, was transported to PHS. "Rumplesnakeskin is a very friendly snake and likes to be held," according to Tarbox. "It is clear he was someone’s pet, but no one came forward to claim him so he’s now looking for a new permanent home." Anyone interested in adopting Rumplesnakeskin can visit PHS's Center for Compassion located at 1450 Rollins Rd. in Burlingame. Ball Pythons grow to be about two to three feet in length and can live as long as 30 years, according to PHS.